The School of Nursing is proposing to construct a new building of approximately 78,000 gross square feet to accommodate its instructional space needs, including a clinical learning center with simulation and skill labs, and simulated patient suites in an environment that will foster collaboration and community. 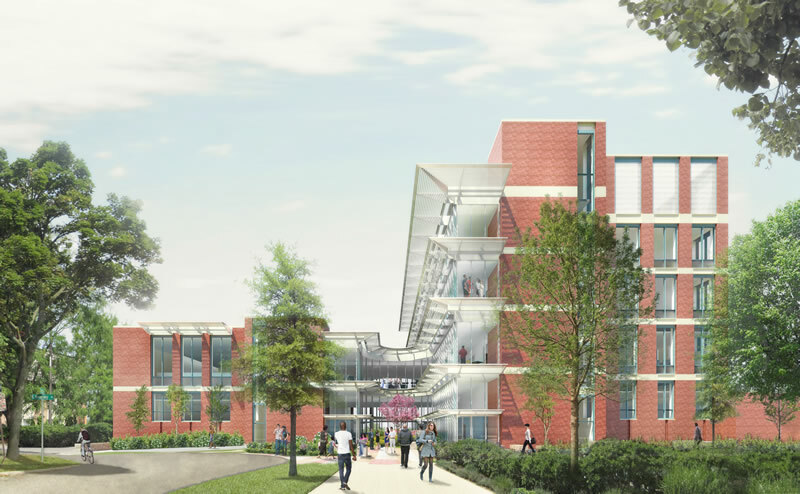 The new building will include space for a small number of faculty offices and limited administrative functions. The proposed site is located near the existing location just north of the North Ingalls Building. With the growth in academic and research programs and increases in student enrollment, the School of Nursing anticipates adding approximately 40 faculty and staff members in the next five to ten years. Approximately 125 parking spaces will be lost due to this project.